NOTE: Committee information is required to complete the software download. 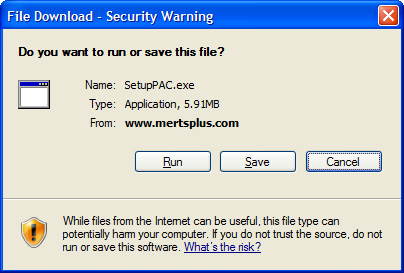 From the MERTS website main page, select Software Downloads and then select the appropriate committee module. Select Run to begin installation. Proceed through the installation steps accepting the default settings. Follow the prompts until the software is successfully installed. Select Finish to close installation window. Return to www.mertsplus.com if additional assistance is needed.